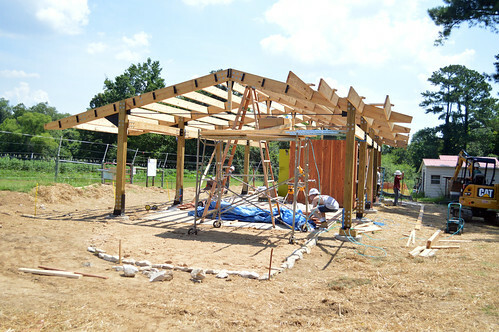 Architecture student Jacob Fremderman works at the Agroecology Education Farm, where he and 14 other students are constructing a building they designed. The new facility will help advance the productivity of the farm, which grows sustainable farm-to-fork produce for university dining halls. 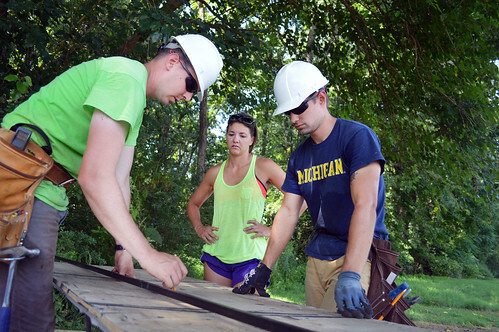 In this outdoor classroom, everyone gets a hard hat. There are no desks, no computers, no homework, no exams and no way you could call this summer course easy. For the 15 NC State architecture students in Design + Build Studio, their group project doesn’t get more real-world than this. 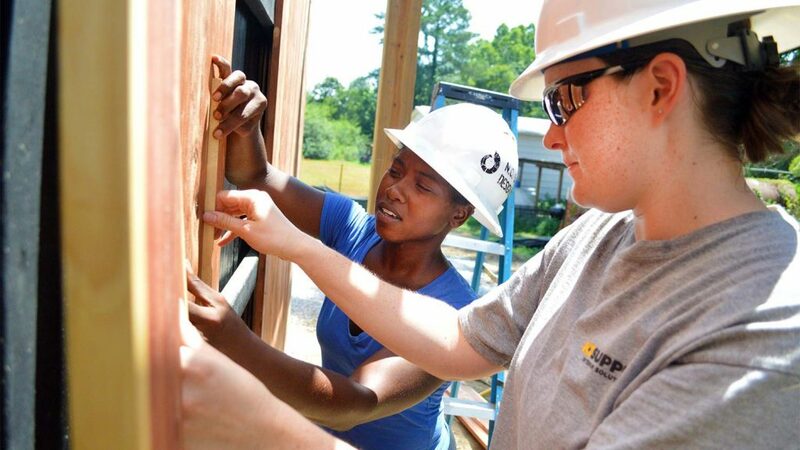 By the end of July, these students will have designed and built a campus building with their own hands. 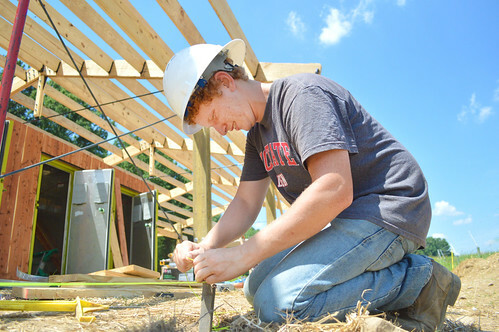 “This is the ultimate hands-on learning,” says student Jacob Fremderman, a rising senior. The project is also the ultimate boost to offering more campus-grown food in campus dining halls. 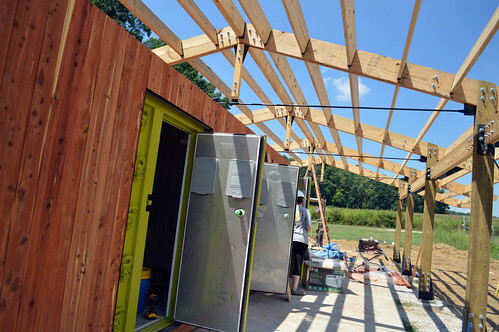 NC State’s Agroecology Education Farm off Lake Wheeler Road has grown produce for NC State Dining for several years, but in order to maximize harvests, the farm needed a facility where produce could be washed and refrigerated until transport to dining halls. In May, as part of the Design + Build course, the architecture students met with the farm’s leadership to understand the needs for a post-harvest storage facility. 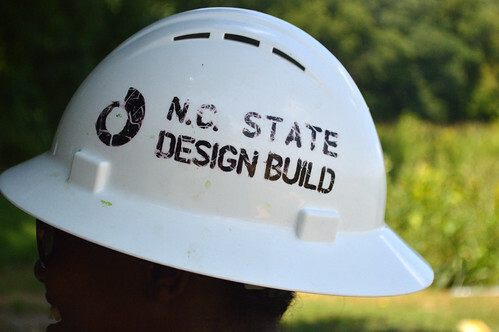 Within just a few weeks, the students completed the facility’s design, received approval and started construction. From dawn until dusk on weekdays and many weekends, students have worked to make their design a reality. 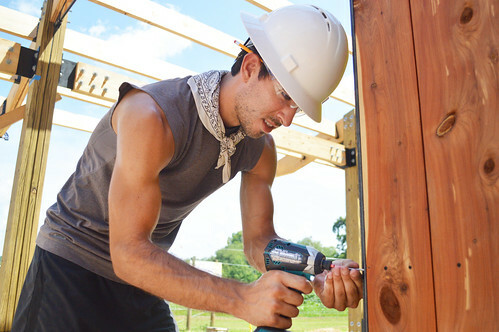 In the 10-week course, they have learned how to operate power tools, pour concrete, build walls, apply siding and install a roof. All the while, they’re also managing the project’s schedule toward an on-budget, on-time completion. 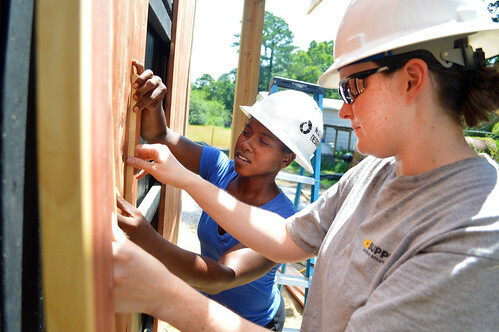 From estimates and budgeting to construction documentation and supply runs, the students know the project inside and out. And, for many, this is a once-in-a-lifetime opportunity to be part of personally bringing their building design to life. That real-world component is what makes this the perfect final course for Austin Chappell, who graduates in August. “This is a lot different than any other class. There’s a lot of pressure because you have skin in the game. You worry about the details because the little things make the largest difference,” he says. 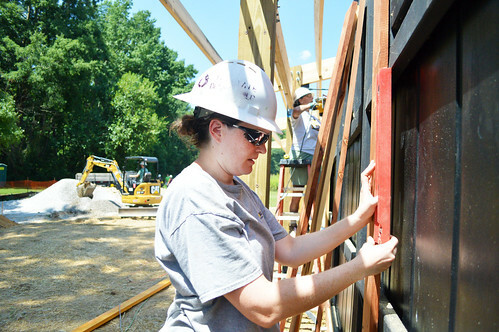 Some of the project’s sustainability details include integration of reused materials, such as a sink basin, cedar siding and three steel coolers that will be modified to function with brand-new cooling systems. 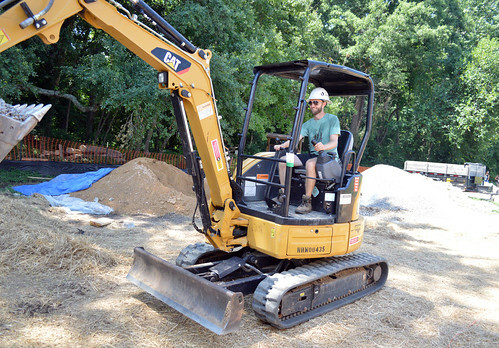 The building will also include a rain garden, a small herb garden, a cistern to collect rainwater for irrigation and exterior landscaping with native plants. 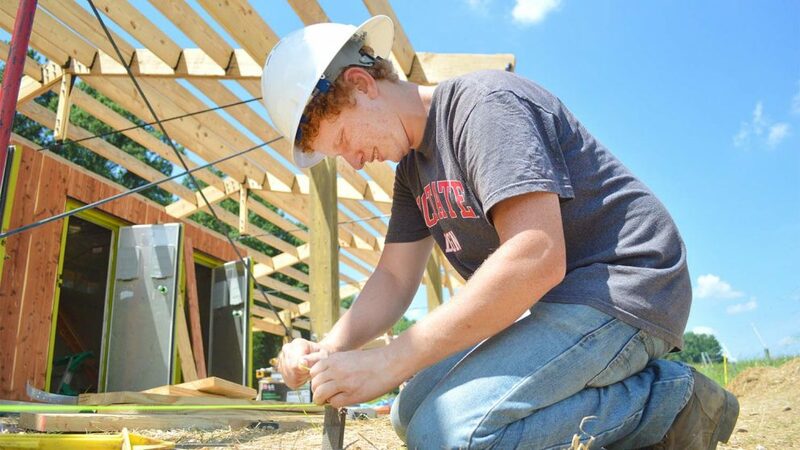 NC State Dining funded the project and additional materials were donated by organizations including Baker Roofing, Construction Metal Products, Hanson Aggregate and NC State Landscape and Construction Services. Published in News, Newswire, Students.